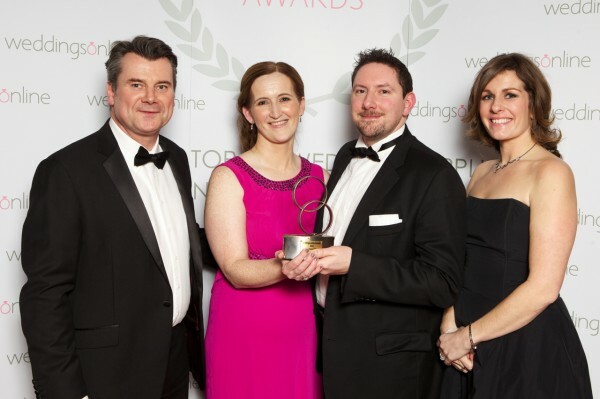 The Best Men have been voted Wedding Band Of The Year 2014 at the prestigious WeddingsOnline Awards. 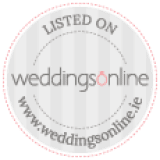 The Awards are the industry standard for wedding suppliers, so it’s a wonderful accolade to receive. Not only did The Best Men scoop the hard-fought for award against 12 other nominees, but Jonathan, Colin & Cormac also won the Wedding Musicians Of The Year 2014 award, for The Kooky Ukes, our ukulele trio. Jonathan, lead singer with the band, attended the glamorous Awards Ceremony with Niamh, booking co-ordinator for both The Best Men and The Kooky Ukes. 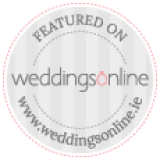 Over 31,000 brides and grooms nationwide voted for their top suppliers and venues in a wide range of categories, who were then judged by a panel of expert industry specialists. Alex Reilly has worked in the television and events industry for the last 11 years and has produced some of Ireland’s most popular entertainment and lifestyle documentary programmes such as You’re A Star, Jigs n’ Reels, The Apprentice, Runaway Bride, The Speech and The Voice of Ireland, to name but a few.However, she is no stranger to the bridal industry having owned the award winning bridal Boutique White Orchid for 5 years. 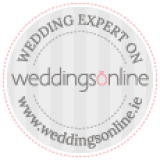 Alex also recently project managed the highly welcomed and successful weddingsonline.ie Bridal Sample Sale Event which took place last year in Clontarf Castle. Mark Richardson is widely recognized as Ireland’s leading sales and communication skills expert and sits on a number of national judging panels, evaluating standards of professionalism in Irish business. Mark frequently speaks at and chairs industry conferences.He specializes in Training, Executive Coaching and Recruitment. 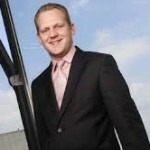 Working in a variety of industry sectors, he is highly regarded as a professional who brings incredible energy and passion to every project he engages with and has tremendous ability to bring the very best out of people at every level. 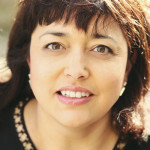 Krishna De (www.KrishnaDe.com) is an award winning communications strategist, commentator and mentor. Her expertise in digital marketing, content marketing and social media is featured in several highly acclaimed books.She is the host of the Visual Content Marketing Show where she covers the latest trends, technologies and tips for integrating digital platforms into your marketing and communications. Ken Fitzpatrick has over 22 years experience with over 13 years in leadership positions in the digital sector.He is currently CEO of the Digital Marketing Institute. The Digital Marketing Institute is a global leader in the education and certification of professionals in the field of Digital Marketing. Operating right across the globe in over 25 markets from bases in Ireland and in the UK, the Digital Marketing Institute has educated many thousands of professionals and is a fast growing dynamic international business. Here is one of the videos we submitted; it’s a look back on some of the fascinating things we encountered during the previous year – enjoy! 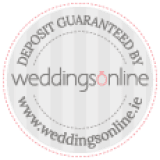 Find out more about the awards and the winners in all of the categories here at WeddingsOnline.